All has been relatively quiet on the development front when it comes to former arcade powerhouse Taito, the number of said arcade games slowing to a trickle in recent times. In part that is due to their acquisition by Square Enix and some games being sold under the SE label but Taito has also lost a number of people who had made their arcade business what it was. So what is next for the company? Virtual Reality. Today that has changed as they uploaded several trailers to show the games that will be a part of their VR Game Stage selection. 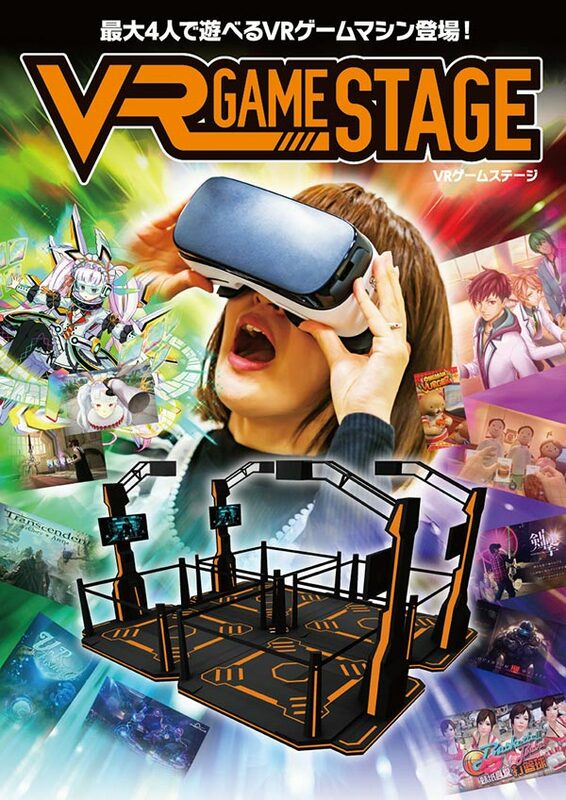 I don’t expect to see this one overseas – there is already a lot of competition in this space with the likes of Namco’s VR Zone, VRCade, Zero Latency, The Void, Omni VR Arena and several others. Taito’s more recent coin-op games have shown up here, mainly at Round1USA arcades but I am not aware of R1 taking the VR plunge quite yet. But if you visit a Taito Game Station in Japan in the near future, then you will probably see this. Oneman Vurger – A game that involves you single-handledly running a hamburger restaurant. 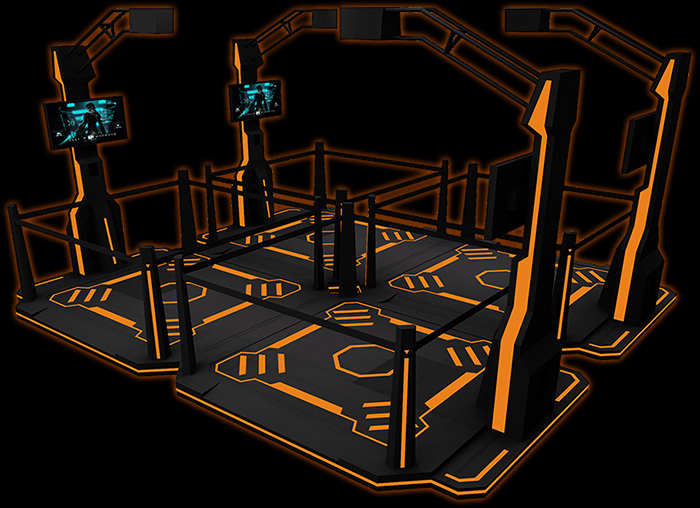 Titan Slayer – While I don’t follow every VR software development there is, I notice that most keep the player in one spot and throw things at them from various angles. Titan Slayer does that by throwing creatures like orcs at you but in addition to swords and arrows you also have…uzis. Medieval steampunk ones of course. VR Fishing – Back in the 90s we saw a number of great fishing arcade games but those went away in the 00s until overhead fishing/spearing games became all the rage in the videmption space. Maybe VR Fishing is what the genre needs for a facelift? Quantum Walker – Looks like generic alien blasting from a fixed position. Electric Knight/Cyber Club VR – I can’t find any info on this one already existing for HTC but it appears to have been made by a Chinese company called Magical World. It is a rhythm game where you take center stage in front of a cround and play different songs. Transcendent Archery Arena – Go island hopping with a bow in hand. Take out enemies and floating crystals/balloons along the way. I’m not sure if these videos are running on the Game Stage hardware but if so, they really need to improve the specs as the frame rate on many of these games is sub-par. Taito has some other games planned for the Game Stage but these are the only trailers they uploaded for now. If you are wondering why they aren’t using their broad IP to turn into VR games(I’m sure the fixed position shooter could be adapted towards various titles like Space Invaders, Bubble Bobble, Qix, etc), it’s because I do not believe that they have the resources for developing such things anymore. Everything above was developed by a 3rd party. For me, this would be far more interesting with some Taito specific ideas but this also might be a safer ‘test the waters’ kind of thing before committing too much towards it.